Shanghai Disney Resort conclue une alliance stratégique avec la compagnie d'assurance China Pacific Insurance dont le siège social est précisément situé à Shanghai. Dans le cadre de l'accord, China Pacific Insurance parrainera le spectacle nocturne Ignite the Dream: A Nighttime Spectacular of Magic and Light, présenté tous les soirs à Enchanted Storybook Castle. Shanghai Disney Resort and China Pacific Insurance (Group) Co., Ltd. (“CPIC”), have entered into a multi-year strategic alliance which recognizes CPIC as an official insurance sponsor of the resort. The agreement, signed by leadership representing CPIC and Shanghai Disney Resort, marks another milestone in the resort’s pre-opening development. 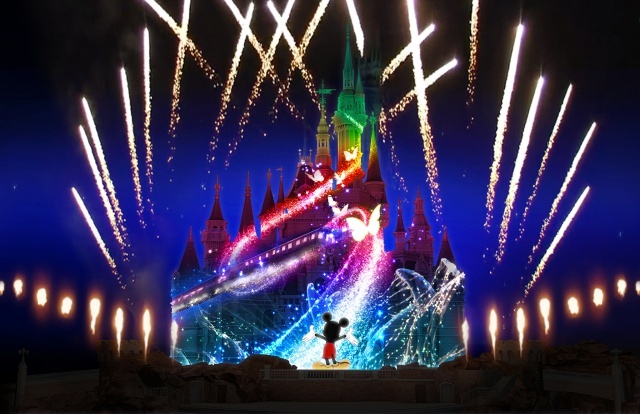 As part of the agreement, CPIC will sponsor the resort’s iconic entertainment, “Ignite the Dream: A Nighttime Spectacular of Magic and Light,” presented nightly at Enchanted Storybook Castle. In addition, CPIC will have other integrated brand presence in the resort. Shanghai Disney Resort - 1er mars 2016. Beginning June 16, 2016, discover a never-before-seen world of wonder where you can ignite the magical dream within your heart. This is Shanghai Disneyland, a fun experience filled with creativity, adventure and thrills! Set your sights on Enchanted Storybook Castle—the largest Disney castle on the planet—and then get ready to explore as you come upon 6 unique and unforgettable lands: Mickey Avenue, Gardens of Imagination, Fantasyland, Adventure Isle, Treasure Cove and Tomorrowland. Personnellement, je n'ai pas de problème (je viens encore de la regarder à l'instant) mais Youtube est certainement plus rapide à télécharger. Thx. 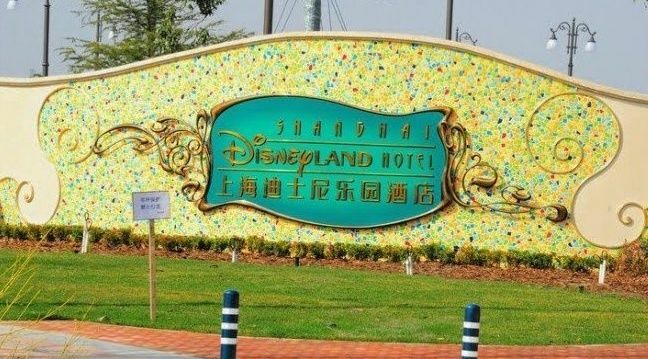 Shanghai has begun a massive programme to demolish illegal buildings surrounding the Disney theme park ahead of its official opening in June, according to a news website report. 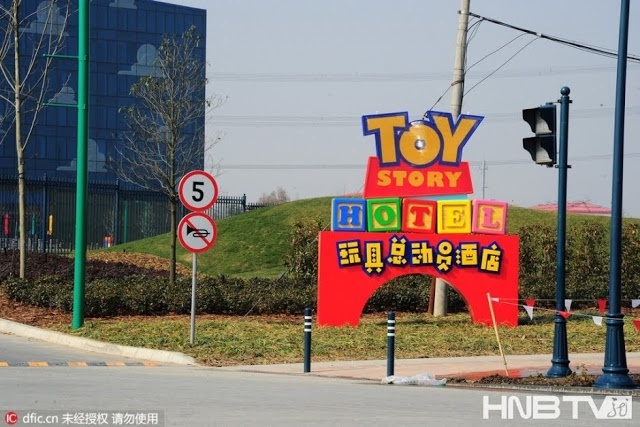 Zhangjiang, one of three towns next to Disneyland in the Pudong district, said it would use drones to patrol the area to make sure there was a “zero increase in illegal buildings” the, Shanghai-based news website Thepaper.cn reported. About 120,000 square metres of structures built without approval have been pulled down in the town over the past two months, according to the report. These included illegally built homes in an area with high-voltage power lines passing overhead that were demolished on Monday. The power lines send electricity to main roads near the park and last year a migrant worker living in one of makeshift houses electrocuted himself, officials said. Illegal buildings started to appear in the area 10 years ago as temporary dormitories for construction workers and were not demolished after building projects were completed. They were later also used as storage space or temporary offices by small companies and pose a fire risk, according to officials. The local authorities said officials had informed residents before the demolition programme and cut electricity and water supplies, the report said. Forced evictions would only take place if people still refused to leave, officials were quoted as saying. 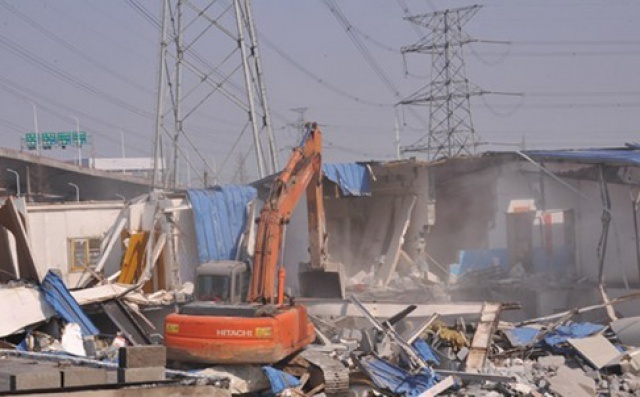 The demolition programme in one area of Zhanjiang is due to be completed in two weeks. Trees will be planted in the area to create a space for the public to relax and exercise, officials said. 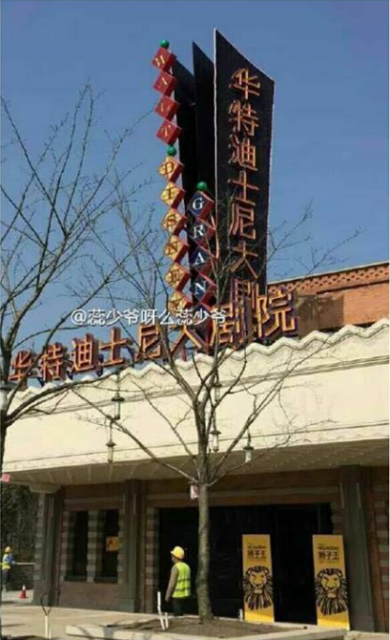 Chuansha New Town is planning to pull down buildings covering 300,000 square metres near the theme park, according to the report. Ji Renkang, the director of the town’s urban administration department, was quoted as saying that it would focus on improving the environment in an area of one square kilometres near the east gate of Disneyland through upgrading old houses and landscaping. South China Morning Post - 1er mars 2016. 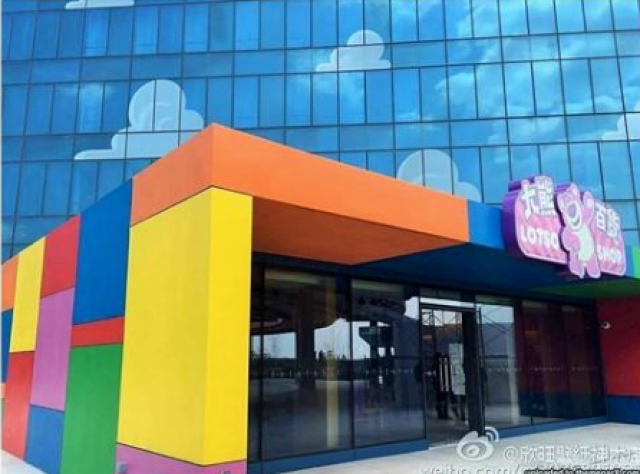 Danish toy giant Lego A/S will open its largest retail store in the world near the Shanghai Disney Resort, the company said on Tuesday. The 1,000-square-meter store will be located on the main shopping street outside Disneyland, and will be operated by Lego. 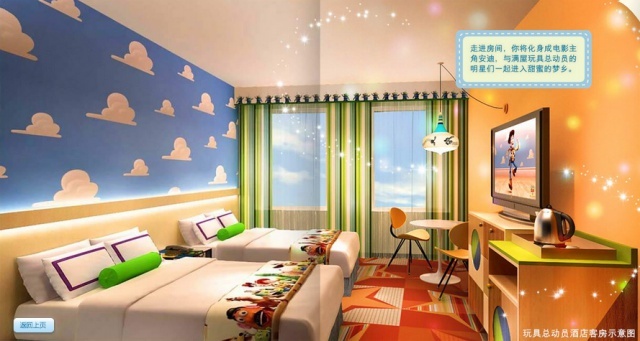 The resort, the first Disney theme park on the Chinese mainland, is scheduled to open in mid-June. "It will be a testament to our confidence in the China market," said Jacob Kragh, general manager of Lego China. Kragh was speaking during a conference call following the release of Lego's annual report, which showed revenue surged 25 percent to 35.8 billion kroner ($5.2 billion) last year. The company did not share the size of individual markets, but China has enjoyed what Lego called a "highly satisfactory" 34 percent growth year-on-year in 2015. Meanwhile, CEO Joergen Vig Knudstorp told China Daily that he believes there will be opportunities for Lego to grow as China transforms into a consumption-driven economy. While all of the 140 countries where Lego products are sold have posted double-digit growth in 2015, China has been one of the fastest-growing markets. Knudstorp expects that China will join the United States and Germany as the top three largest markets for Lego soon. Consulting firm Euromonitor International has forecast that by 2017, the Chinese toy market will be worth 100 billion yuan ($15.36 billion) and the Asia-pacific region will outnumber North America in sales as the world's largest traditional toy market. While domestic brands still dominate the market, experts said that Chinese parents are likely to spend more on foreign toys in the coming years. Shanghai Daily - 3 mars 2016. Pour ceux qui ne l'aurait pas encore vu, la future grande et belle fontaine/rond-point non loin du parking. Nous sommes aujourd'hui exactement à cent jours de l'ouverture de Shanghai Disneyland ! (March 8, 2016, Shanghai) – Exactly 100 days from today, Shanghai Disney Resort will welcome its first official guests on June 16, 2016. 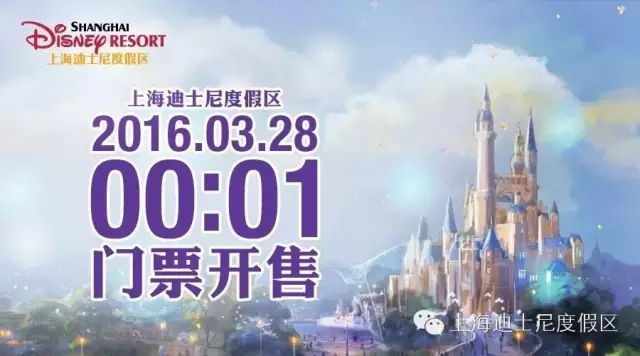 To celebrate this exciting milestone, Shanghai Disney Resort has launched a digital countdown clock on the resort’s website, www.shanghaidisneyresort.com, the official source of news and information about the resort. 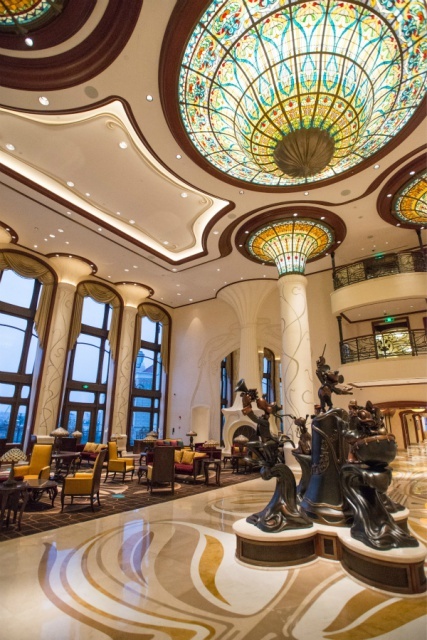 Once operational, a visit to Shanghai Disney Resort will offer guests an experience unlike any other in the world. With six themed lands demonstrating Disney’s relentless innovation and famous creativity, Shanghai Disneyland will be a world-class destination that provides the best of Disney to the people of China. From attractions for multi-generational families to live entertainment, nighttime spectaculars and special moments with Cast Members, there will be numerous ways for guests of all ages to enjoy Shanghai Disney Resort. 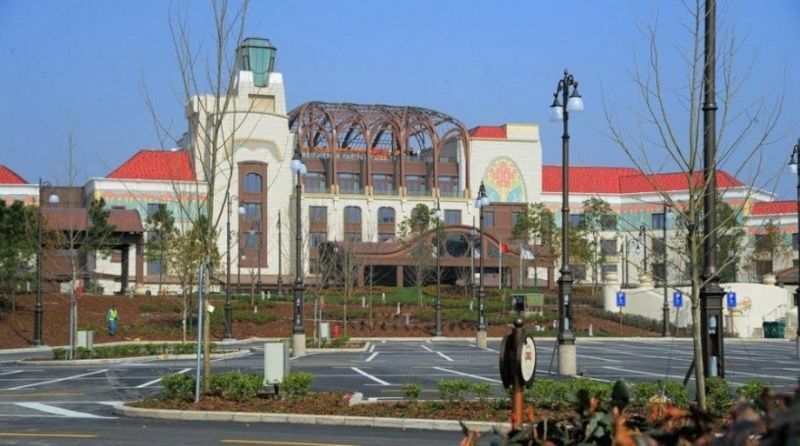 As the grand opening draws closer, the resort teams are already conducting extensive preparations for the first official guests, including testing and adjusting attractions, conducting rehearsals for entertainment experiences, landscaping across the entire site, and undertaking other prepatory work to prepare an exciting guest experience across Shanghai Disney Resort on opening day. Beginning March 28, 2016, guests will be able to purchase theme park tickets, tickets to THE LION KING production at Disneytown, and make resort hotel reservations through authorized, official channels, including www.shanghaidisneyresort.com. 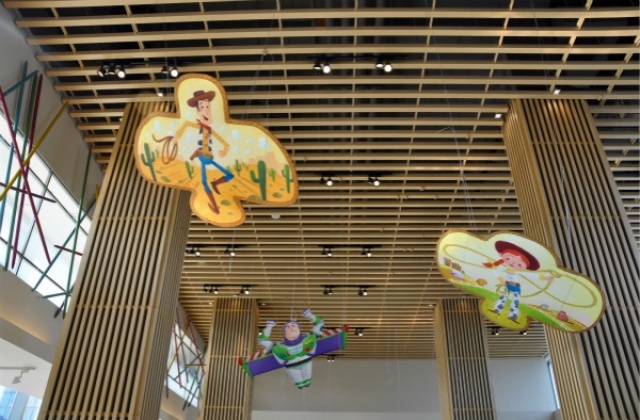 Guest can learn more about developments across Shanghai Disney Resort through regular updates posted on the resort’s official website, www.shanghaidisneyresort.com. 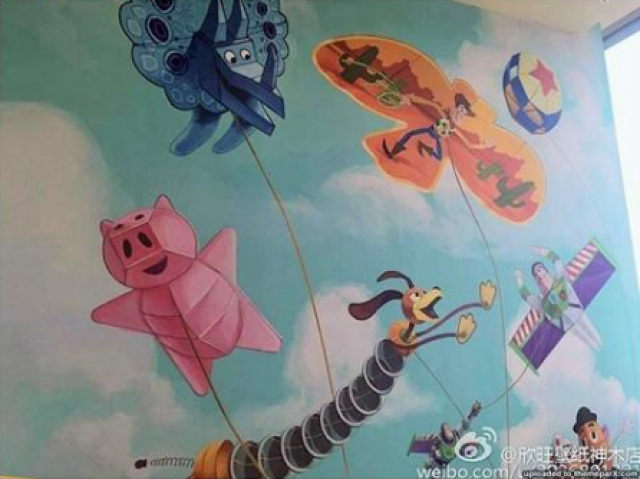 Shanghai Disney Resort - 8 mars 2016. Je n'ai qu'un mot à dire : HÂTE ! China Eastern Airlines, compagnie aérienne chinoise basée à Shanghai, va relooker six des ses appareils avec des personnages Disney familiers du grand public : un B-777, deux A330, deux A320 et un B-737. Dans les mois à venir, elle augmentera également l'offre de sièges en utilisant des appareils de plus grande capacité ou en introduisant des vols supplémentaires vers l'aéroport de Shanghai Pudong en fonction de la demande du public. 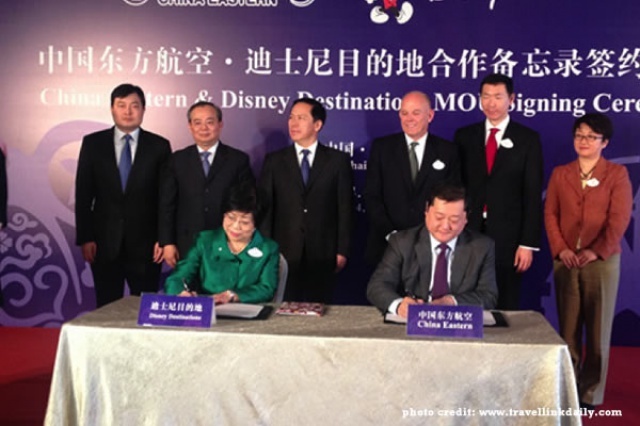 China Eastern Airlines collabore avec Disney depuis janvier 2014 à la promotion des resorts Disney à travers le monde. Photo : Johannes Eisele/AFP/Getty Images. 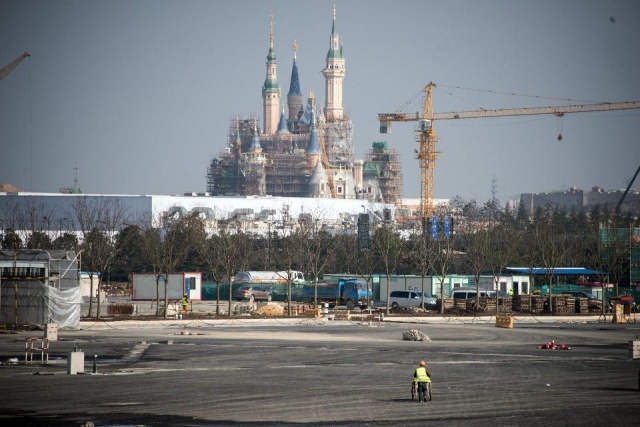 Can Shanghai Disneyland Survive China's Downturn ? Shanghai Disneyland, which opens June 16, will make a “loud statement” said Walt Disney Company CEO Bob Iger at the Deutsche Bank 2016 Media, Internet & Telecom Conference on Tuesday. He’s right. Although Disney has only a 43% stake in the park—a state enterprise, Shanghai Shendi Group, owns the rest—the investment should substantially change the way the investment community views Iger’s company, although perhaps not in the way he envisions. The destination, costing $5.5 billion and covering 963 acres, will be a wonder to behold, as pictures, released by the company on March 8 to mark the 100-day run-up to the opening, reveal. Six “themed lands” will surround the 196-foot Enchanted Storybook Castle, the tallest Disney castle anywhere. At no other Disney park will you find Treasure Cove, one of the six lands. 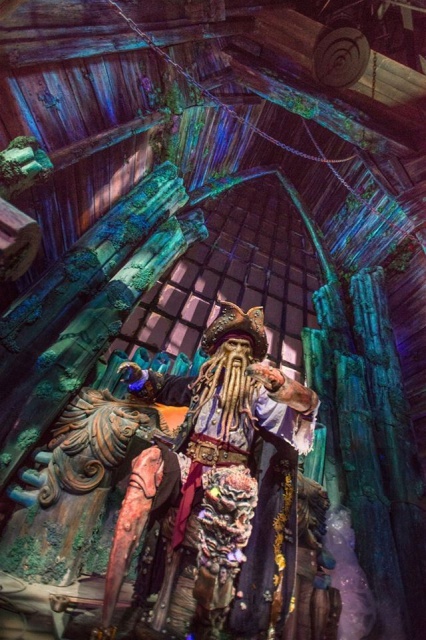 There, expect to enjoy Pirates of the Caribbean attractions. Want to see the Lion King in Mandarin? There’s only one place to go. And say hello to Mulan, in Fantasyland, from the Voyage to the Crystal Grotto water ride, or dodge Stormtroopers on the Star Wars attraction in Tomorrowland. 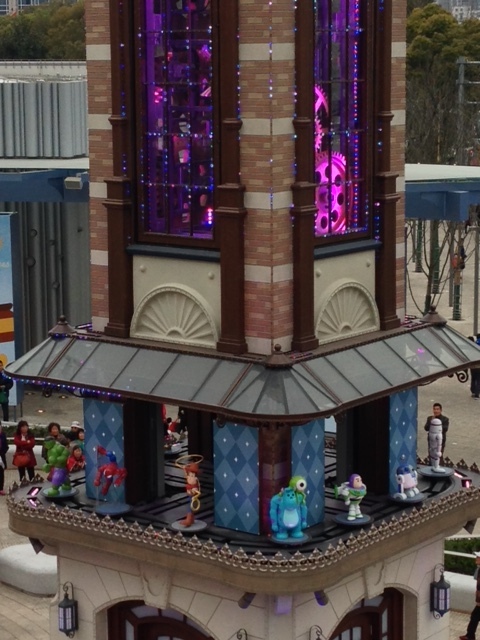 If you’re a Tron or Toy Story fan, you will not be disappointed. But don’t expect to stroll down Main Street, U.S.A. It’s at every other Disney park around the world—there’s a different name in Tokyo—but you won’t find it in Shanghai. The glaring omission, however, may not be important. After all, the best thing about the park if you’re a Disney shareholder, which I’m not, is that it is in China. Iger thinks there are “well over” 300 million people who can afford a ticket and who live within three and half hours of its gates. As the Disney chief tells us, that’s a group about the size of the United States. And there are plenty of Chinese in the demographic that matters most for Disney. Some 60% of the visitors to Tokyo Disneyland are aged 4-17, and China has 200 million people in that population cohort. How could it not be popular? Last year, there were, according to the China National Tourism Administration, 4 billion trips to Mainland China destinations. That meant 4 trillion yuan in tourism revenue. For Disney, the numbers mean renminbi in the bank. China International Capital Corp. estimates there will be 11.5 million visitors in first year of operation. The estimate looks conservative. 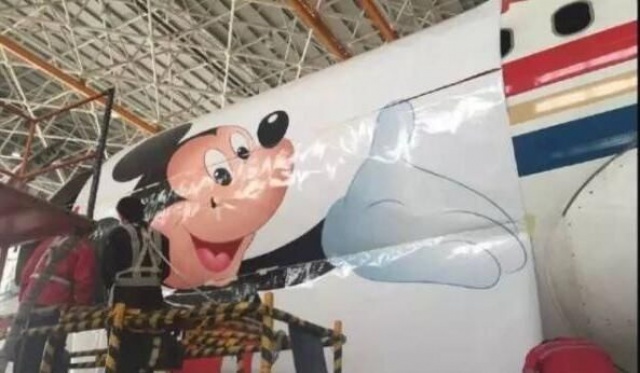 For one thing, Disney products are already popular in China. And even more important, both the Shanghai Municipality and the central government recognize that the high-profile park’s success is important to them, so they will act accordingly. 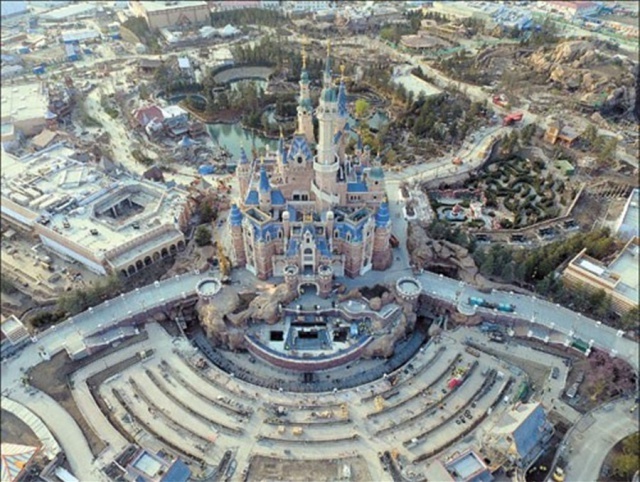 Those woes bring us to the worst thing about Shanghai Disneyland: The park is located in China. In that country, the economy is obviously in distress. In those six decades, however, the U.S. never faced a situation as serious as the one now confronting China’s technocrats. 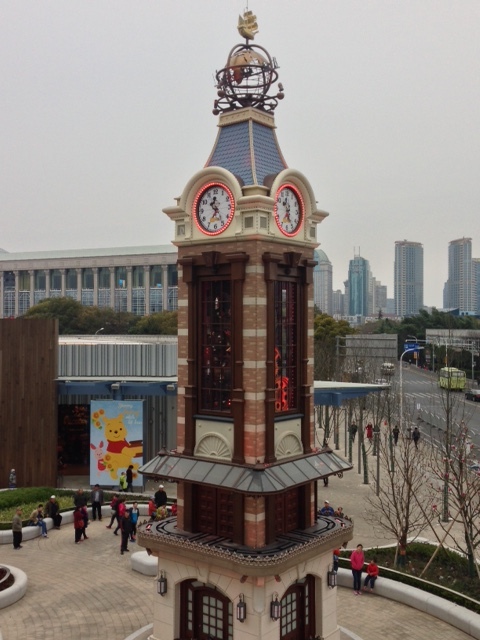 That new economy, powered by consumption, is crucial to Shanghai Disneyland. Yet analysts overestimate the potential of Chinese consumer spending. Even if consumption accounted for 66.4% of China’s GDP last year—doubtful for many reasons—the rise of the free-spending Chinese is just about over. Forbes - 13 mars 2016. Mr B. toujours à l'affut : The Walt Disney Grand Theatre à Broadway Plaza (Disneytown). EXPECT to see Daisy Duck dressed like a 1920s Shanghai party girl when you visit the Disney Resort this summer. The amusement park will be a veritable mecca for merchandise when it swings open its gates for the first time on June 16, according to park officials. And many of the souvenirs on offer will have a decidedly Shanghai feel. About 7,000 products will be sold at over 30 theme stores across the resort, many of them featuring Disney cartoon characters wearing “qipao” and other local costumes popular in the Roaring Twenties. “We designed the Vintage Shanghai series to reflect images from old Shanghai calendars from the 1920s,” said the resort’s Creative Director Yasmeen Chen. Shanghai Daily - 19 mars 2016. Classic Disney characters are getting a Chinese re-styling for Shanghai Disneyland, with Minnie Mouse, Mickey Mouse and Donald Duck set to appear as old Shanghai stereotypes when the park opens in three months. In Shanghai, Mickey will be a young man wearing a top hat and holding a stick, while Donald will appear as a middle-aged Shanghai man, good-natured but aloof. Characters from new Disney hit "Zootopia" will also feature in souvenirs at Shanghai Disneyland. The Shanghai Disney Resort is Disney's sixth resort destination worldwide. Tickets will go on sale to the public on March 28. China.org.cn - 19 mars 2016. Shanghai Disney Resort and PANDORA Jewelry (Shanghai) Company Limited (“PANDORA”) have entered into a multi-year strategic alliance which recognizes PANDORA as the official charm bracelet of Shanghai Disneyland and the presenting sponsor of the Walt Disney Grand Theatre in Disneytown. Through this agreement, PANDORA will sell bracelets and charms featuring Disney characters, made of precious metals. 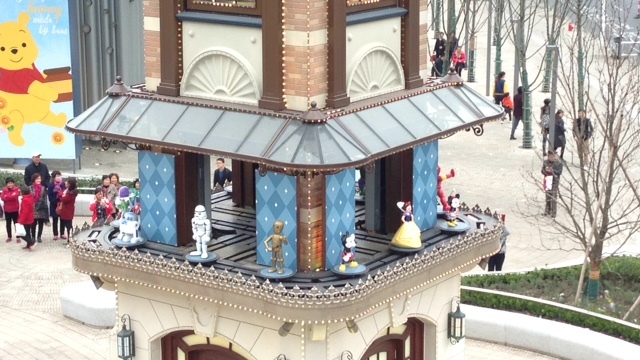 Various exclusive pieces will be available only at Shanghai Disney Resort. PANDORA jewelry will be sold in dedicated retail locations such as Avenue M Arcade, located in Mickey Avenue near the theme park’s main entrance, and in other locations throughout the park. In addition, PANDORA will have sponsorship of the Walt Disney Grand Theatre. 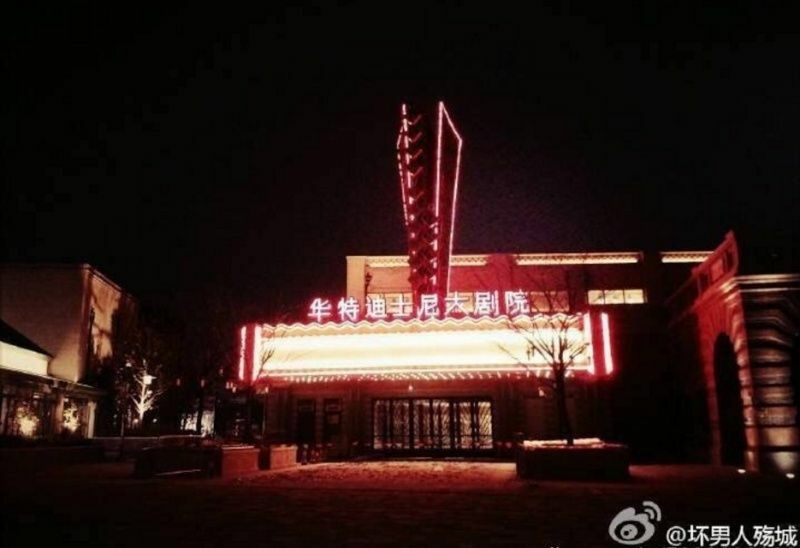 Located in Disneytown, the retail, dining and entertainment area situated adjacent to Shanghai Disneyland, the Walt Disney Grand Theatre will host the world premiere of the first Mandarin version of the Disney landmark Broadway musical, THE LION KING. “We have had a successful strategic alliance with The Walt Disney Company for the past few years and we look forward to this newest agreement with Shanghai Disney Resort to offer our Disney-themed products in the region,” said Kenneth Madsen, president of PANDORA Jewelry Asia Pacific. Shanghai Disney Resort - 21 mars 2016. Walt Disney Theater de nuit, à Disneytown. S'il y en a qui veulent réserver billets d'entrée et/ou nuit(s) d'hôtel pour les 16 et/ou 17 juin OU BIEN les 20 et/ou 21 juillet, contactez-moi rapidement par Message privé, ça va partir en quelques minutes (secondes) donc il est indispensable de s'organiser à plusieurs ! 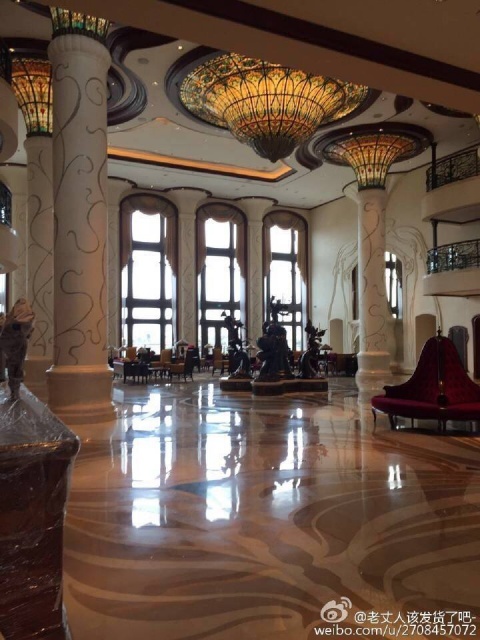 Par contre le lobby du Shanghai Disneyland Hotel est somptueux. Luxe et démesure attendent les guests, je suis impatient de voir plus de photos de cet hotel. 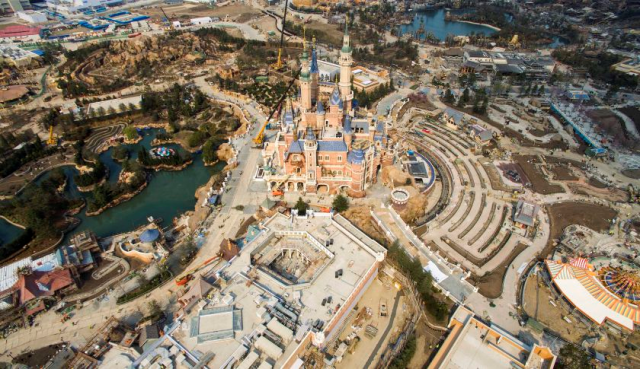 Bird’s eye view : An aerial view of the new Shanghai Disney Resort this weekend in the Pudong New Area. TICKET selling through official channels for Shanghai Disneyland has become smooth after eager buyers reported they experienced difficulties getting the tickets when they started being sold after midnight. The official website of Shanghai Disney Resort and its Wechat account showed no ticket was available from the theme park’s grand opening on June 16 through September 13 from the midnight when the ticket selling was scheduled to begin. The ticket sales on the two official platforms were back in normal around 9:30am today when all the single and two-day tickets including those for the opening day became available for sell. 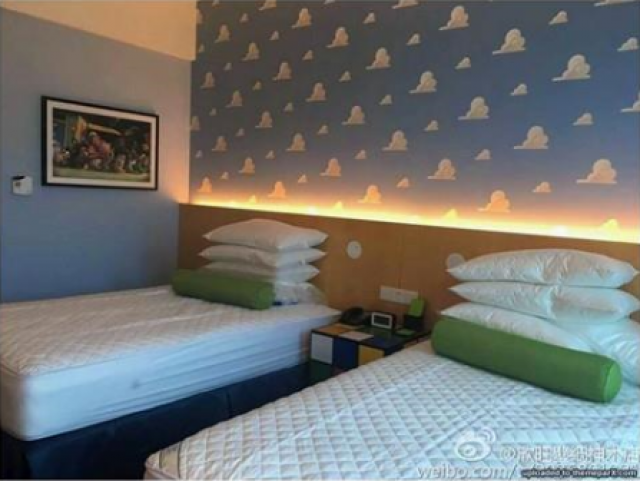 A local resident surnamed Pan managed to purchase three two-day tickets for June 18 and 19 through the official Wechat account, and also booked a room for a night at the Toy Story Hotel through the official website at around 11am today. The total cost for his family of three to spend two days at Shanghai Disneyland is 4,277.50 yuan. 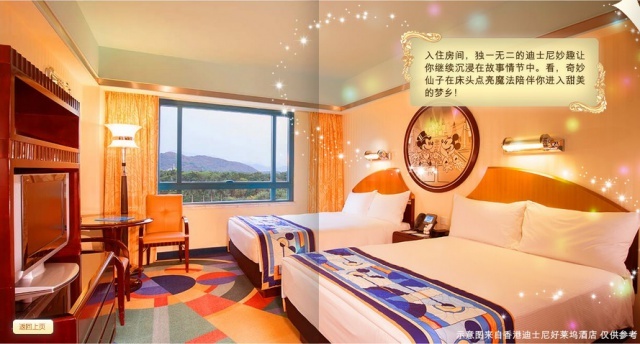 All the tickets for the opening day were sold out around 11:30am today, while all the rooms for the other hotel at the resort, the Shanghai Disneyland Hotel were also sold out until the end of June. The management of the resort has yet to comment. The tickets selling services have been available on the authorized flagship online stores on Alitrip and Taobao.com since last night, but customers have to wait for a longer time to confirm their orders than to buy through the official channels. Shanghai Daily - 28 mars 2016. The opening of Shanghai Disneyland in June is proving a golden opportunity for ticket scalpers, who are charging up to eight times the normal price to mainlander keen to be among the first visitors to the world’s sixth Disneyland theme park. A ticket for the first two weeks – regarded as “peak-day” tickets that will normally cost 499 yuan (HK$595) – are being offered for sale by scalpers and travel agents adding on charges of up to 3,400 yuan. Tickets for the theme park officially went on sale at 12:01am today, but the huge demand for tickets led to the Shanghai Disneyland website crashing from 11.50pm yesterday until 12.28am today. The Shanghai Morning Post reported on Monday that tickets for June 16, the grand opening day of Shanghai Disneyland, were sold out within five minutes of going on sale on Monday. 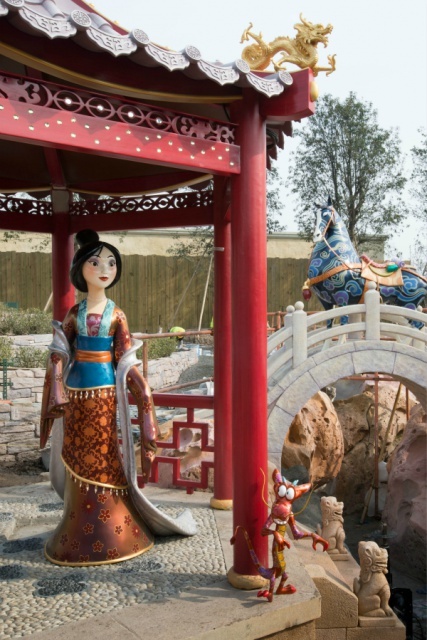 The resort, three times bigger than the Hong Kong version, will offer an “East-meets-West” fusion of classic Disney entertainment and traditional Chinese elements, Disney said. The park’s Enchanted Storybook Castle was set to be a landmark attraction for Shanghai Disneyland because it would be “the first castle to represent all the Disney princesses”, as well as being “the tallest, largest and most interactive Disney castle in the world”, the company said. Two kinds of tickets will be available – the peak-day and average-day tickets. A peak-day ticket, which costs 499 yuan for an adult, will be the price for a tickets for weekends and the whole of July and August. People that want to be “early bird” visitors and go to the theme park during in the first two weeks after its official opening will also have to pay the peak-day price. The average-day ticket price will be 370 yuan. Tickets for visits up to September 13 are available now. Travel agents and scalpers have been well prepared to take advantage of the huge demand among mainlanders. Apart from about 10 major online travel agents, individual scalpers on China’s top e-commerce platform Taobao.com, are offering tickets for Shanghai Disneyland’s first two weeks, with addition fees and commissions that range from 61 yuan to 3,400 yuan. Some web users said they had booked tickets for the grand opening day through major travel agencies, but then received text messages within minutes saying that their orders had been cancelled and they would receive refunds. 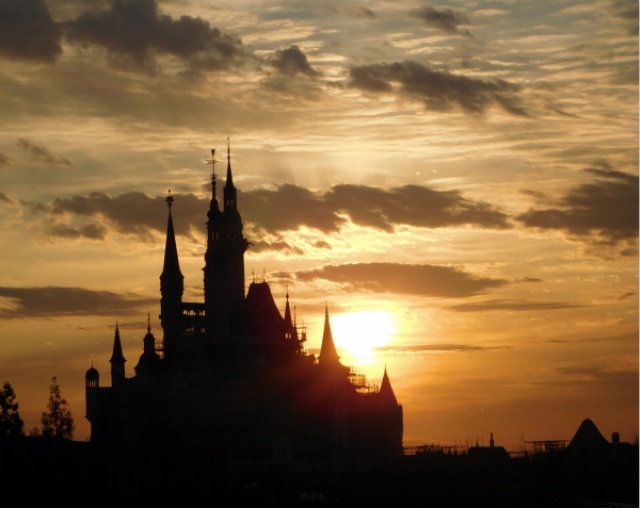 Shanghai Disneyland has warned customers to avoid buying tickets from unreliable sources. Some individual agents have asked buyers to provide only their delivery addresses with purchases and have not been asking people to provide their identity card numbers. However, Shanghai Disneyland has said people should always enter their identity card numbers during the ticket-buying process. To enter the park all visitors would have to show their identity cards along with tickets, Shanghai Disneyland said. SCMP - 28 mars 2016. The park officially opens on June 16. The debut of Walt Disney’s Shanghai theme park, the first in mainland China, is off to an encouraging start as tickets for the resort’s June opening date sold out quickly online. While tickets for the rest of the summer were still available, Bloomberg reports the official website sold out of tickets for the June 16 opening date hours after they became available. 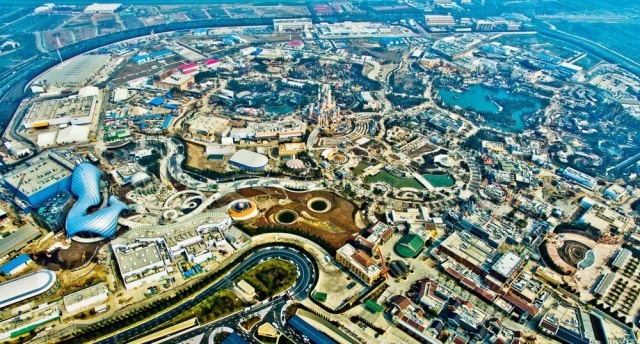 Shanghai Disney Resort, at about 1,000 acres, is double the size of Tokyo Disney and three times larger than the resort in Hong Kong. Disney has already sought to manage expectations by with the investment community by saying Shanghai Disney will result in $300 million in preopening costs this fiscal year but won’t be a profitable venture quite yet. With the park opening in mid June and the company’s fiscal year ending in September, it isn’t enough time to turn a profit. Disney hasn’t made any targets for fiscal 2017 either. 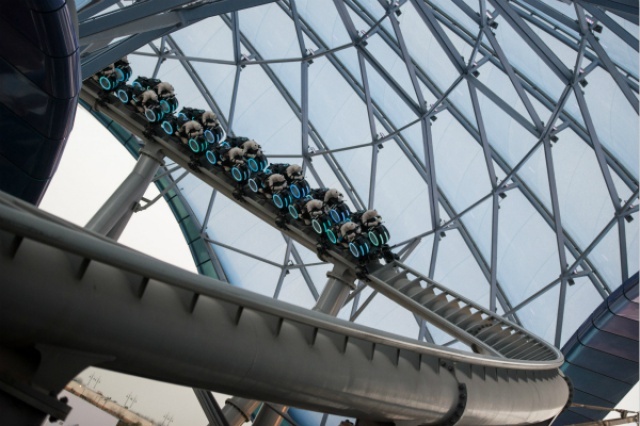 “It’s the biggest park we’ve ever opened on opening day,” CEO Bob Iger told investors during a Deutsche Bank media conference earlier this month. 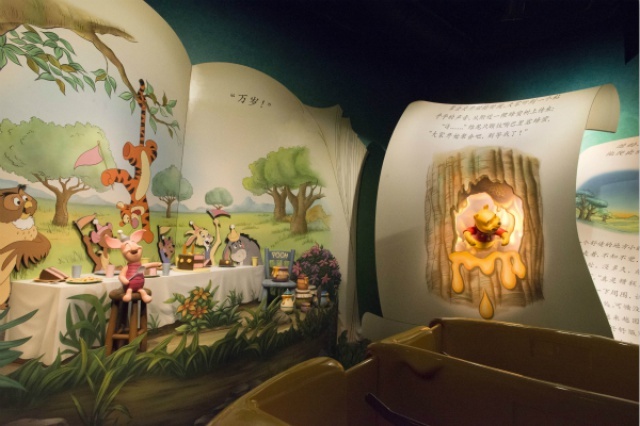 He touted the park’s blending of original Disney intellectual property with Chinese cultural elements. 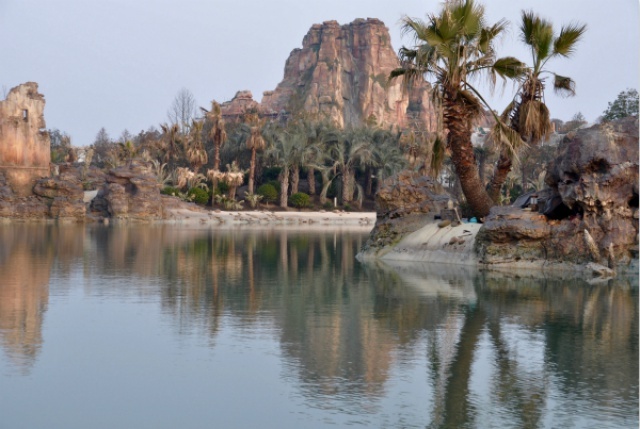 The park is also strategically positioned to potentially lure the more than 300 million people that live within a 3.5 hour train or car ride to the park, Iger added. 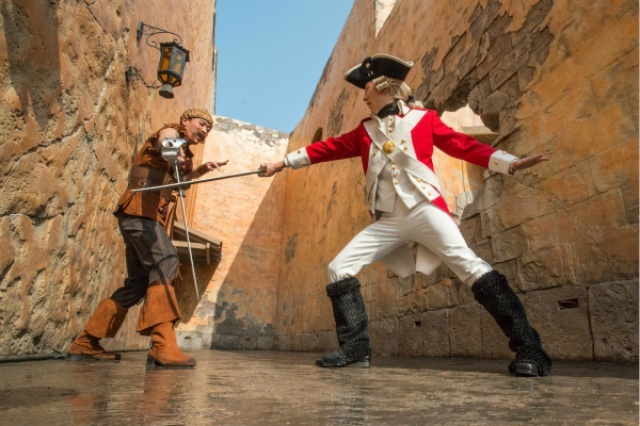 Theme parks are a critical business to the company, generating $16.2 billion in revenue and $3 billion in operating income in the latest fiscal year, the second-largest business segment for Disney after media networks. Both figures have been increasing in recent years, though the resorts haven’t always been star performers. 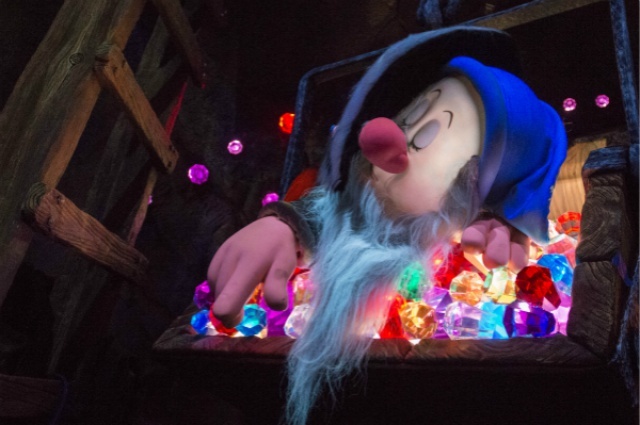 Disneyland Paris has most notably faced struggles, burdened by high debt and some challenges luring visitors. Fortune - 28 mars 2016. "Relying on the large desire for family-style entertainment and the rising purchasing power of Chinese consumers, Shanghai Disneyland is likely to set off massive consumer demand," Chang Jiang Securities Co. analyst Li Jin wrote in a note released Monday. Bloomberg - 28 mars 2016. Un peu bizarre cette histoire de pièce d'identité car on est plusieurs à avoir réservé sans en avoir eu besoin. D'autant plus qu'il ne s'agit que de carte d'identité chinoise.